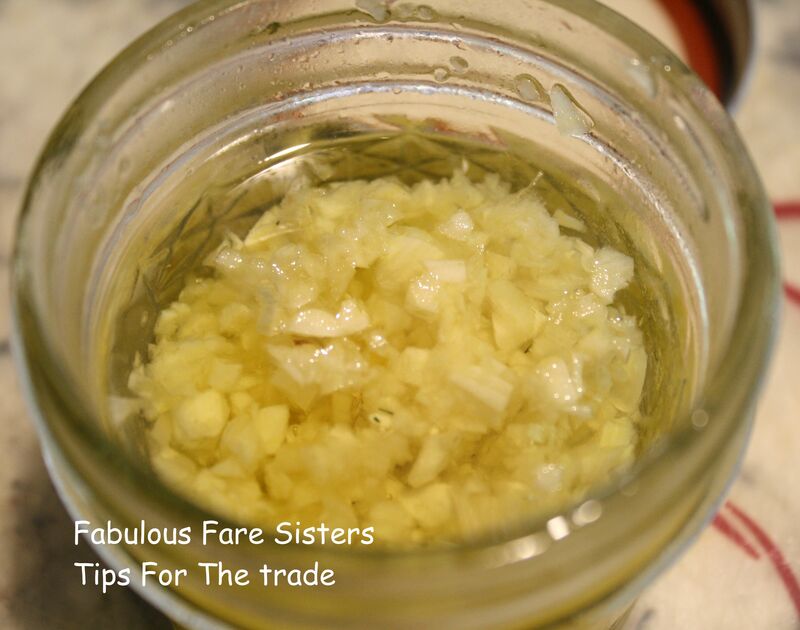 Tip 1… I love garlic… and I cook with copious amounts of it. I sometimes have complicated recipes, so to reduce my work time I do a lot of the work in advance. When I peel and chop garlic for instance, I never do just the ‘right’ amount. I almost always clean and chop the whole head. I clean and chop and then store the rest of the unused garlic in a 4 oz mason jar with olive oil for another time. This saves me so much time when I need to saute garlic or make a dressing. Tip 2 … and I said it before, use a wine bottle cork in your pasta water to prevent the starch in the pasta from spilling all over your stove and leaving you with a ‘much to do about nothing’ clean-up. Works every time and adds to the flavor of the pasta. Two great ideas Heidi – I love no. 1 as a fellow garlic fan! It comes in handy more than I could have ever dreamed! Love the cork idea! I have plenty of those around – hehe! Do you have to use a new one each time? No, But I do. My grandmother always used a wooden spoon. I just like to use the cork. Culinary Profesionals will never follow those rules because the water for pasta never boil with that intensity .is slowly shimmer..and cooked half way in most dishes since pasta is rarely use as a stand alone dish . Sauces, and other liquids to complete the dish with pasta will continue cooking pasta by the time is served . Great tips, especially no. 2! Are you supposed to use a real cork or will a plastic/fake cork work just as well? It has to be real! I sometimes use my wooden spoon if I don’t have a wine cork on hand…but the cork works much better! Yes, it has to be a real cork, but you can use the same one more than once. Thank you so much for the tip!